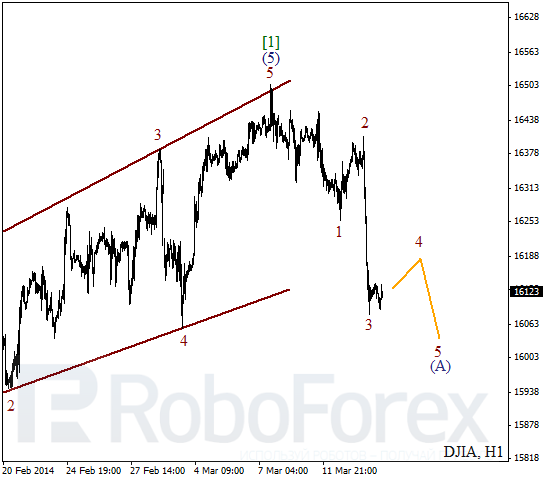 It looks like Index formed diagonal triangle pattern inside wave (5) and right now price is being corrected. 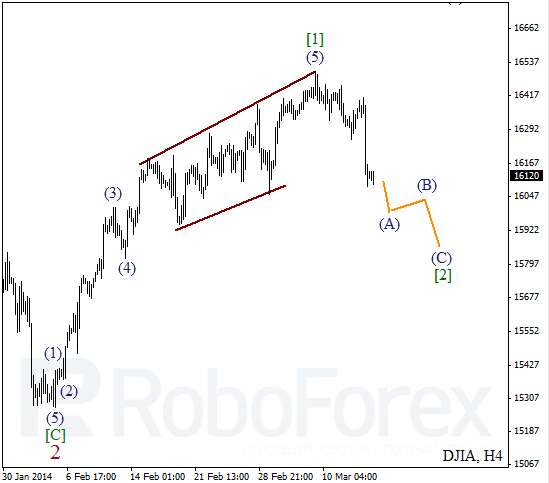 Most likely, instrument will continue forming bearish impulse inside wave (A) during the next several days. 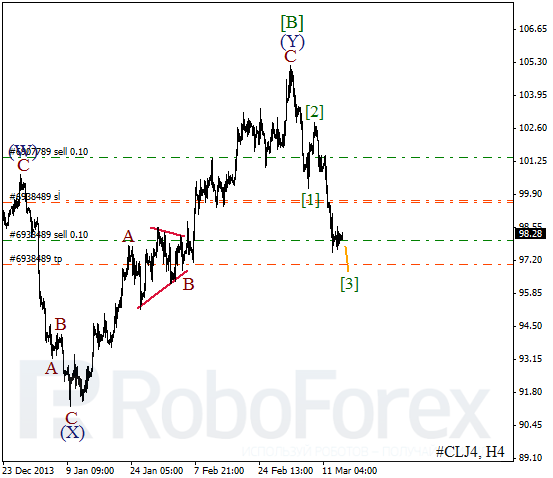 As we can see at the H1 chart, yesterday Index finished the third wave and right now is being corrected inside the fourth one. It looks like instrument is going to continue forming flat pattern during Friday, but later it may start falling down inside the fifth wave. Oil is still falling down inside the third wave. Right now, market is consolidating, but later it is expected to start falling down. Possibly, instrument may reach new minimum during Friday. 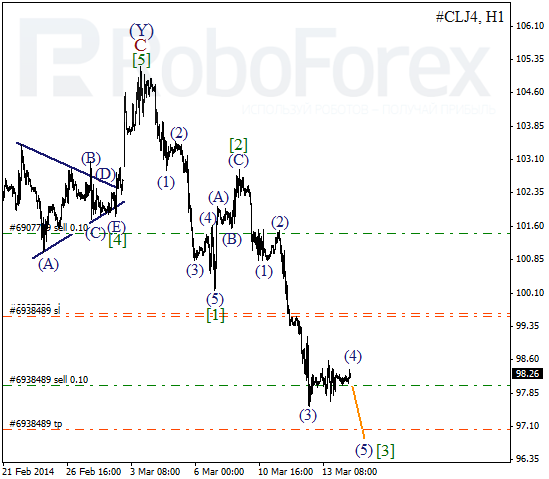 As we can see at the H1 chart, Oil is about to complete the fourth wave inside wave . I’ve got two sell orders; stop is already in the black. In the near term, instrument is expected to start moving downwards inside wave (5) of .